Which window-decorating product should I use for the holidays? Can you suggest any window-decorating ideas using Santa® Snow Frost? What is the best way clean my windows once the holidays are over? Add fascinating, decorative effects to glass and windows. 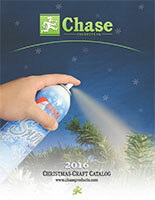 Chase Products offers sprays that crystallize on glass creating a “Jack Frost” effect, or a powdered frost effect. 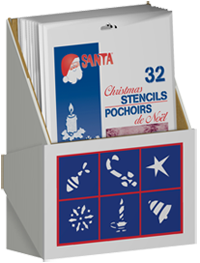 Pair these sprays with Santa® Christmas Stencils. The traditional Christmas designs can be used singly or in combination to create festive designs.